With Passport Points, you earn rewards simply by attending campus events! Then, you cash those point in towards cultural opportunities in study, interning, or volunteering abroad (or with another culture in the US). 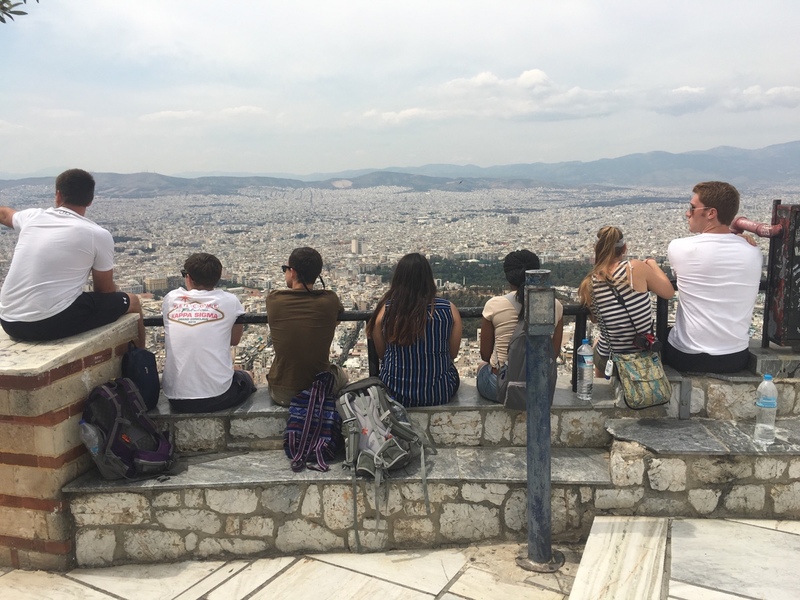 Students overlook Greece from The Acropolis. Participate in approved cultural enrichment programming to earn points. Earn up to 500 points per semester and up to a total of 2,000 points over 4 years of full-time undergraduate enrollment. Points can be redeemed to offset travel expenses related to approved educational travel opportunities. This program facilitates all students to experience an approved cultural immersion opportunity while attending Centenary. Students earn points for attending pre-approved events and programs. Independent Culture (CU) Projects that include international travel. Study abroad with any of the college's official partner institutions or programs. 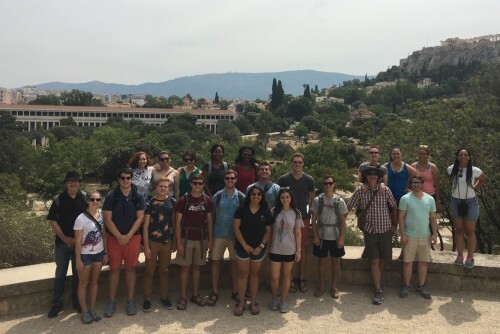 Faculty or staff-led international trips with an educational component lasting 5 days or more (ex: international choir tour, international mission trips). Remember that in addition to events listed below, all home athletic events and faculty-sponsored convocations have Passport Points attached. Look for the QR code at any of the events that you attend! If you experience problems with points crediting to your account, take a selfie next to the code at the event and email it to intercultural@centenary.edu as soon as possible. The following events are worth 100 Passport Points if you choose to attend them. For group opportunities, e.g., Module or International Choir Tour, students may redeem 500 Passport Points only towards the initial required deposit. There is no limit on the number of points redeemable for subsequent payment dates. All redemption requests must be submitted by the final payment deadline set by the faculty or staff leader of each Centenary International Educational Travel Opportunity. Redemption for non-Centenary programs occur on a rolling basis. Students pursuing independent International Educational Travel Opportunities must receive TREK Committee project approval prior to redeeming Passport Points. Points may be billed back to the student if the Independent Project is not completed in a satisfactory or timely manner. Additionally, for independent International Educational Travel Opportunities, students must sign and turn in a Passport Points Redemption Agreement Form confirming their financial responsibility and the possibility of penalties incurred for not correctly accounting for Passport Points redeemed towards their independent experience. Eligible students must submit this form to the Office of Intercultural Engagement before departure on an approved international educational travel opportunity. More questions? See FAQs below. For more information on redemption windows, please see the FAQs below. 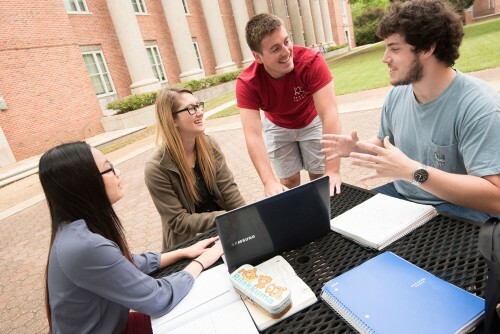 Students may earn up to 500 points per semester and up to a total of 2,000 points over 4 years of full-time undergraduate enrollment. With Passport Points you can earn rewards simply by attending campus events — then redeem your points to help cover the travel costs related to approved international educational travel opportunities. Each point is redeemable for one dollar toward offsetting travel costs related to approved international educational experiences. How do I get my Passport Points? At a Passport Points-approved event, scan the appropriate QR code during the designated time. How do I check my current balance of Passport Points? You may view your current balance here by entering your student ID number. How do I redeem my Passport Points for travel? You may redeem your Passport Points here. What types of international educational travel opportunities are there that can be supported by Passport Points? Independent CULTURE Projects that require international travel. Which events are Passport Points events? All Passport Point events are typically listed in the weekly "What's Happening" email. Also, all home athletic events are Passport Point events. All on campus music and theater performances sponsored by the college are Passport Point events, as well as art exhibits coordinated by the Meadows Museum. How do I apply to have an event approved for Passport Points? Event sponsors must fill out this form. For more information about how to have your event approved for points, email passportpoints@centenary.edu. How many Passport Points can I earn? You can earn up 500 points per semester for a total of 2000 points over the course of 4 years. What if I have additional questions about Passport Points? How many points is each activity/event worth? 25 points for student performances: concerts, recitals, plays, all home athletic events, films, operas...etc. Passport Points are not redeemable for cash or any other form of credit and have no value until presented for redemption in accordance with the terms and conditions of this Program. Points have no fixed or ascertainable cash value. Centenary College reserves the right to change, limit, modify, or cancel the Program's Terms and Conditions including the number of points issued for travel, regulations, benefits, conditions of participation, rewards, and reward levels in whole or part at any time, even though changes may affect the value of points or rewards already accumulated. Participants will be bound by any such changes. Only full-time, undergraduate students in good standing with the college are eligible to participate in the program. Points are not transferable or re-assignable. Participants of this program may be subject to tax laws and guidelines in the U.S. It is the responsibility of the individual participants to inquire about their particular needs as related to such laws and guidelines.